Hello friends today in my this article I am going to show you how to hack any android game within 5 minutes without any problem. Why do we need to hack a android game ??? So friends Why do we need to hack a android game ? Yes friends we hack android game to buy some coins money hacking a android game is so easy that you have never thought that you can hack any android game so follow my some steps then you can also hack any android game. If you like my this article Please Share it with you friends so that they can also enjoy. 1. 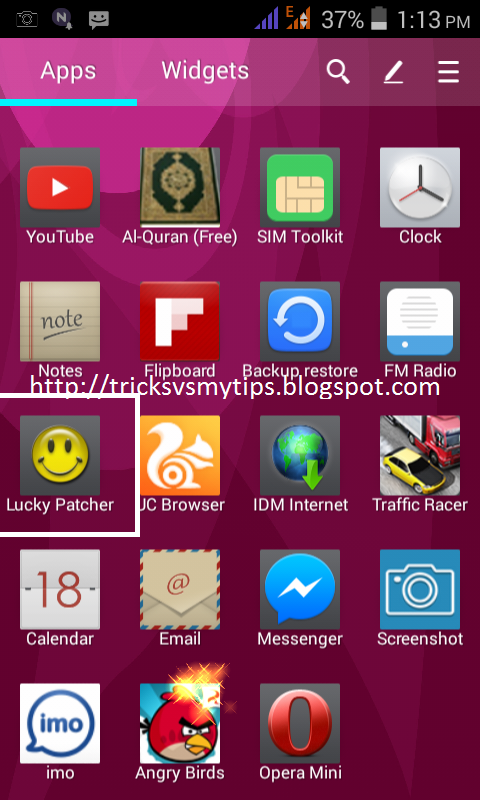 First of all download the Lucky Patcher from here and install it into your android. 2. And open the Lucky Patcher and select the game which you want to hack like below pic. 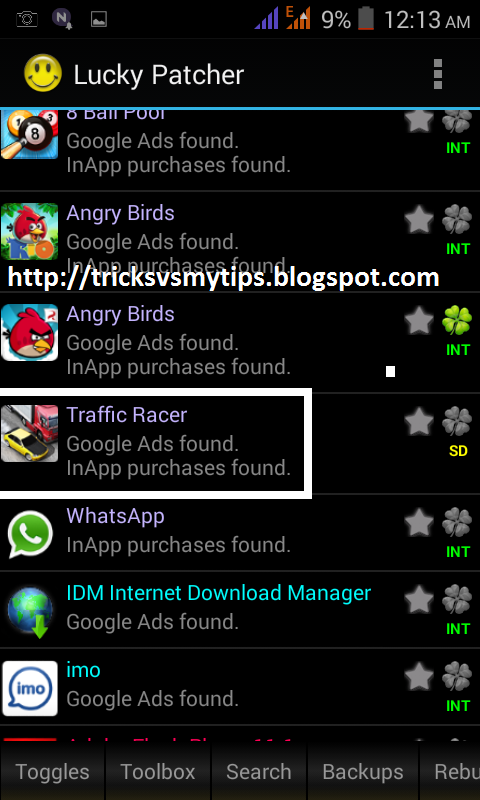 Here I am going to hack Traffic Racer game so just click on that Lucky Patcher will open a little menu of that game. You May Also Like !!! 3. 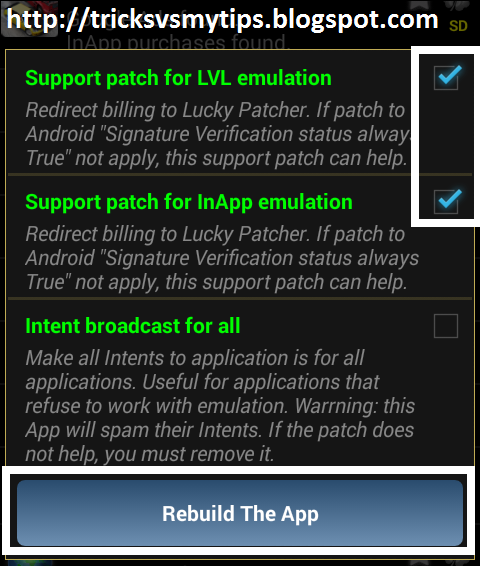 Select the ” Apk rebuilded for InApp and LVL emulation” option from the menu. 4. It will show you one more option “Create Modified APK File” just click on that. 5. 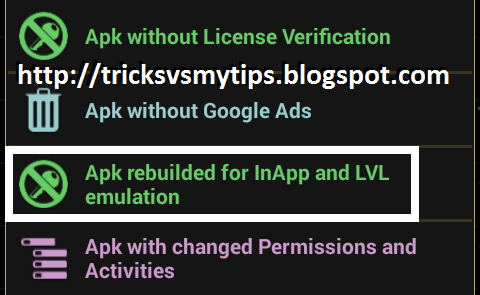 Then click on the option “Rebuild the App” and wait for some time until it hacks the android game after that Lucky Patcher will give you the address of that hacked game. 6. 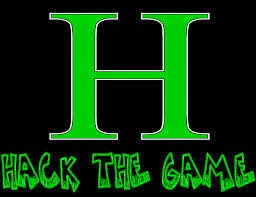 Now your game has been hacked its time to use hacked game just uninstall the original game and install the hacked game and enjoy the hacked game. If you have any problem in this hacking you can contact me through Comment so stay connected with me and enjoy that new and helpful tricks. And if you can also give me comments for more help I will help you with my full effort.